Newstead Rotunda Wedding with Brisbane Celebrant, Jamie Eastgate. We chose the Broadway Chapel for our ceremony location. It is a beautiful old converted chapel that provided wonderful photos opportunities both on the inside and the out. 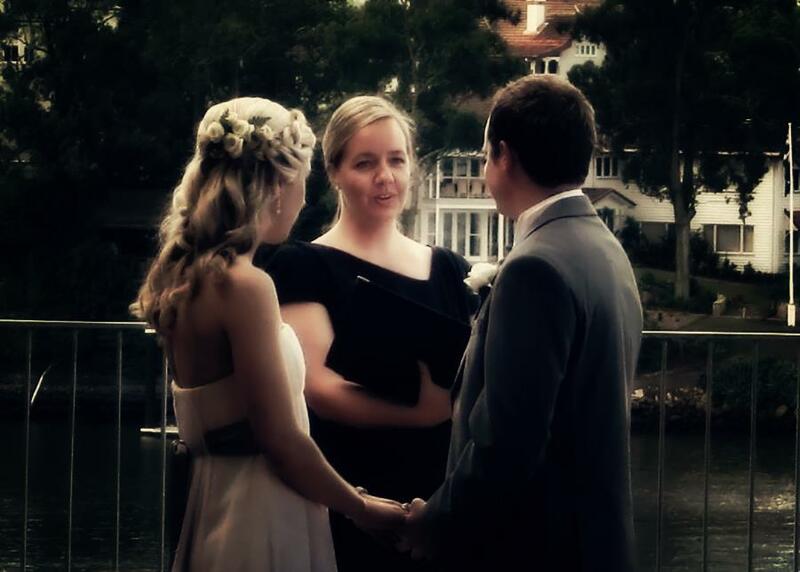 Jamie from Brisbane City Celebrants was our chosen celebrant for our special day. We first saw him on the Four Weddings Australia TV show performing a wedding and we knew his easy going personality was exactly what we were looking for in a celebrant. make our day exactly what we wanted it to be. He was very adaptable and was always willing to suggest options that might have suited our day a little better. that happened in preparation for our wedding, however we only wish we had the time to enjoy our engagement and the planning of the wedding a little more. Unfortunately for most brides and grooms, families tend to put a lot of pressure on planning a wedding. Just make sure your wedding really is YOUR wedding! Tell us about your ceremony: We had our ceremony placed under the trees on the grounds at Northshore facing the river. The weather was amazing and the sun had gone behind the trees so all the guests were in shade. We set up a laptop on Skype and called our family in the UK. Our ceremony was a very simple, classic and traditional. It was short and sweet and perfect! Reception Location: The wedding reception was also held at Northshore Riverside Cafe in Hamilton. From our first meeting with Jamie he made everything seem so straightforward and he was so passionate about being a part of our special day. 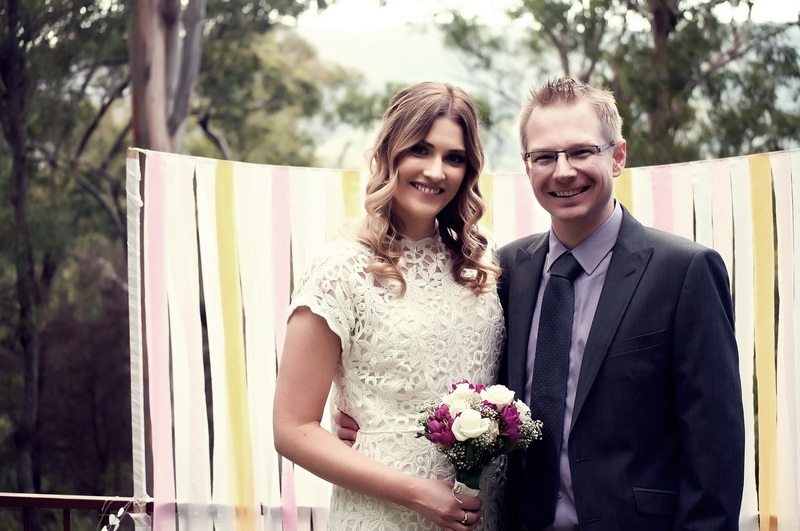 DJ/MC – Brisbane Wedding DJ; Andrew was fantastic and made sure the night ran smoothly. He just went over and above! Northshore Riverside Café; Bec and the staff – went over and above to make sure everything was perfect! Our ceremony was perfect. Rows of white tiffany chairs with small bunches of baby’s breath on the ends, a cream aisle runner leading to a beautiful archway. Jamie was fantastic at officiating. He kept the mood light and comfortable, shared jokes with our guests and always looked completely at ease. Our reception was exactly as we had pictured it. Large chandeliers, candle lit tables with beautiful Singapore orchids in the centre. We had round tables with black chairs to suit our theme, each table was named after a famous cricketer. This was the Grooms idea. We loved the quality of service we had at our wedding. Every vendor went above and beyond to make our day special. Both the ceremony and reception were perfect and every effort was made to make our guests feel comfortable. Our wedding went off without a hitch. Jamie was wonderful. From the moment you meet him, he makes you feel comfortable and puts you at ease. He was always organised and more than willing to provide ideas on any aspect of the ceremony. We found Jamie to be highly professional and very comfortable in front of an audience. 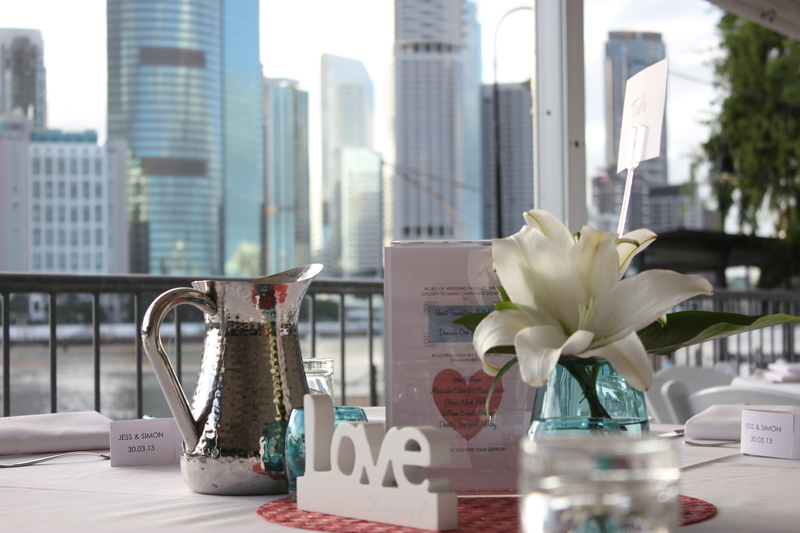 We would definitely recommend Jamie and Brisbane City Celebrants to anyone getting married. We had such wonderful suppliers. Photography- Chris Hall photography. These guys are extremely competent and highly skilled in wedding photography. Justin makes you feel great and seems to capture every moment perfectly. Cake- Allmixedup cakes. Sonja from Allmixedup Cakes designs and creates beautiful cakes. She delivered and assembled the cake at our reception and sent us images of what it looks like before we arrived. Dress- Wendy Makin Bridal Designs- Wendy and the team have an amazing ability to make you look and feel beautiful. They catered to my every need and request and were able to suggest suitable jewellery for the big day. 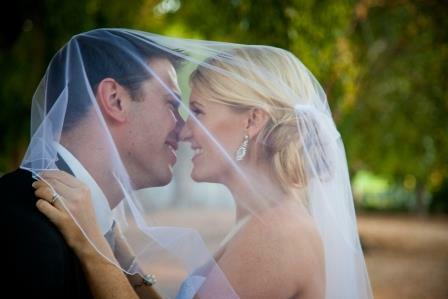 Ceremony and Reception- Victoria Park Golf Complex- Vic Park do the most amazing weddings. We had a clear idea of what we wanted and the girls in the functions department went out of their way to create our perfect wedding. They answered every email and every question we had on any detail no matter how big or small and sort to make our wedding as cost effective as possible. Be organised. We found that once we got ourselves organised and knew what we wanted suppliers and vendors were able to make it happen. You can’t control everything that happens on the day but having a solid idea of what you want and how you want it to come together helps to make the day run smoothly. The other piece of advice we found helpful was to take some time to enjoy the day as husband and wife. With everything that’s going on and all the attention people are giving you, time will go very quickly. Try and steal a few minutes after your ceremony or during the reception to spend a quiet moment together and take in the significance of what is happening. This is a whole new chapter of your lives. 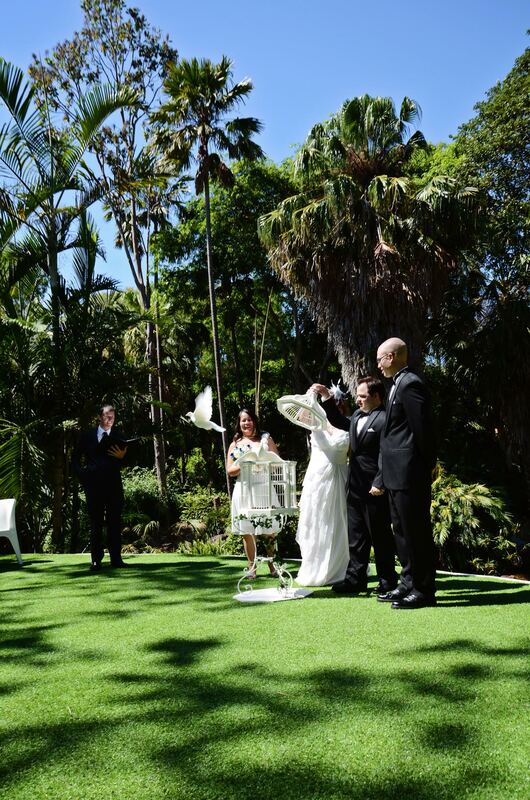 Botanical Gardens Celebrant Jamie Eastgate performing a dove release ceremony. 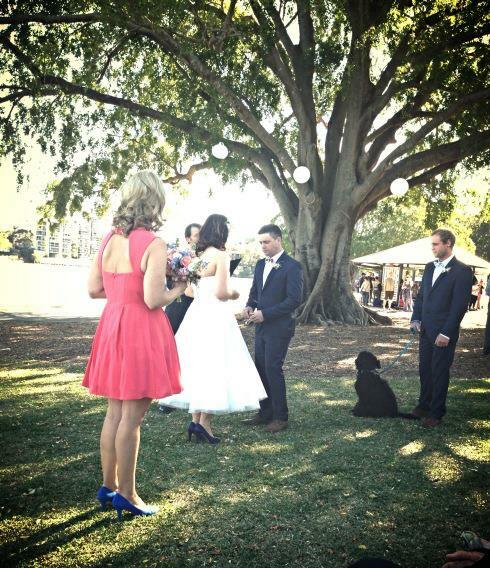 Orleigh Park Wedding Celebrant Jamie Eastgate performing a wedding where the best man was the bride and grooms dog! The beautiful riverside venue and spending the day celebrating with all of those closest to us. Jamie was so fantastic to work with and from day one made the entire process so simple and easy. With only 2 months notice after winning our wedding prize, time was no problem for Jamie and he was more than happy to meet up with us and work around our busy schedule. The ceremony was such a wonderful success, exactly as we had always imagined and it was all thanks to Jamie. We would have no hesitation in recommending him to all of our friends in the future. Overlooking the Brisbane River on a beautiful sunny afternoon we shared our day with our family and friends. It really couldn’t have been more perfect! All I can say is – FUN! The guests stayed at the Rowing Club while we had photos taken at UQ. Canapes were served on the deck as the sunset over the river. I think it was shortly after the entree was served that the dancing started – and barely stopped for the rest of the evening. – the people: Our Celebrant Jamie, our Photographer Nicole Barralet, the Venue Manager Carol and our Caterer Andrew were wonderful and really made the day. Without them who knows how things would have turned out!! We were delighted to have had Jamie as our Celebrant. His friendly and professional personality was evident from the first meeting. He was extremely approachable and helpful throughout the process of designing our ceremony. His sunny demeanor matched the weather on the big day and really made the ceremony come alive. Don’t stress. Everything will work out and in the end as long as you are there with the person you love, nothing else matters. We could not have imagined a better ceremony. We had grass, water, sun, amazing views beautiful words, loving family and friends and best of all…….each other. Our reception began with pre-dinner drinks and canapés overlooking the river. We got everyone mingling early with a game of find his or her ‘pair’, which became hilariously competitive and set a great tone for the evening. After enjoying a delicious BBQ buffet we danced the night away to a great live band and DJ. We loved everything about our day, but particularly that the majority of our guests traveled interstate to be with us. 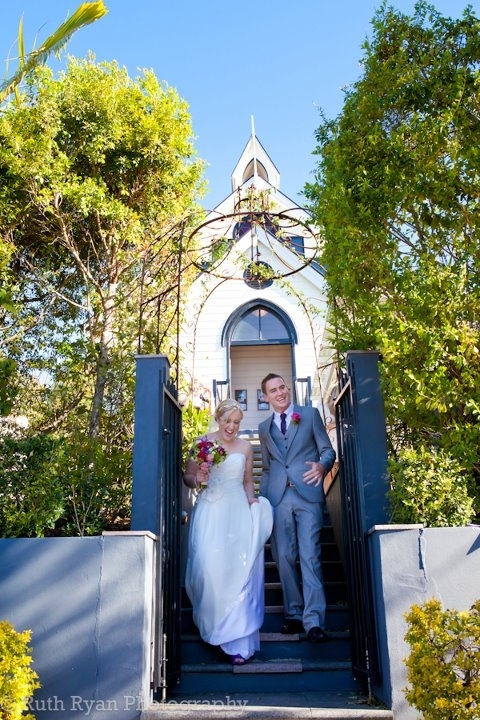 We were so lucky to have perfect weather for our wedding day, in an otherwise rainy Easter long weekend. We also loved that we were able to create and enjoy the informal, fun and relaxed atmosphere we had intended, which was helped in large part by BenJam band. We were so pleased to have Jamie as our Celebrant. From when we first met with Jamie to discuss our wedding he was very enthusiastic and made everything so straightforward. Jamie was always really easy to contact and work with. We loved that we were able to create our own ceremony from the options that he gave us. After the ceremony many of our guests commented on what a fantastic job Jamie did, and we thought so too! Becc Photographic Concepts – Becc and Jason were calming, fun and unobtrusive. Becc captured the moments so beautifully. Think about what kind of atmosphere you want to create for your wedding, and make plans with that in mind. Help each other with the planning. Most of all, enjoy the best day of your life! Our Ceremony was personal and intimate. It was in a little garden with a big view. Our Reception was at the same venue as our ceremony, however, the reception was held on the (huge!!) deck overlooking Surfers Paradise. 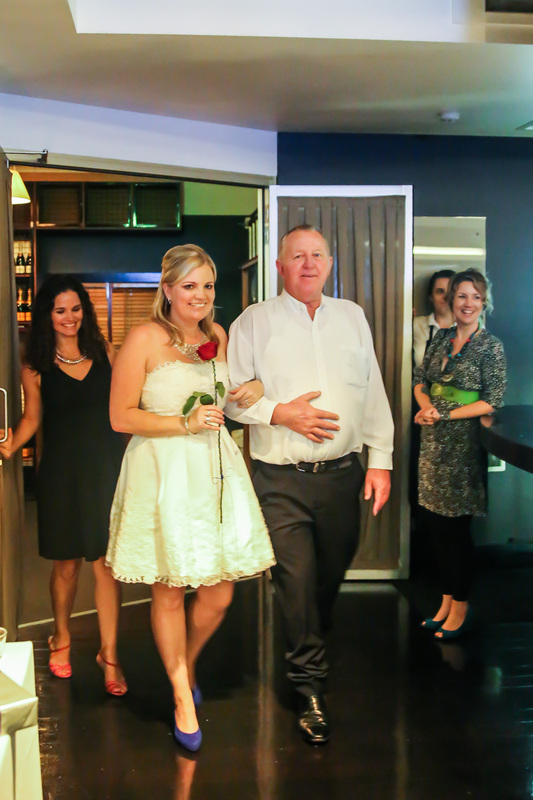 Our main aim was for the reception to feel relaxed and happy. We didn’t have any formalities, so the evening just flowed perfectly from beginning to end. We honestly just loved that we were surrounded by our loved ones on our special day. The less people you invite, the more intimate and relaxed the day is. We had approximately 55 guests, which was perfect for us as it was just close friends and family. We felt so loved. Jamie was perfect. He told ‘our story’ so well and he really helped put us at ease! He truly has an aura of love and happiness. Throughout the reception, our guests commented about what a great job he did. We can’t thank him enough. 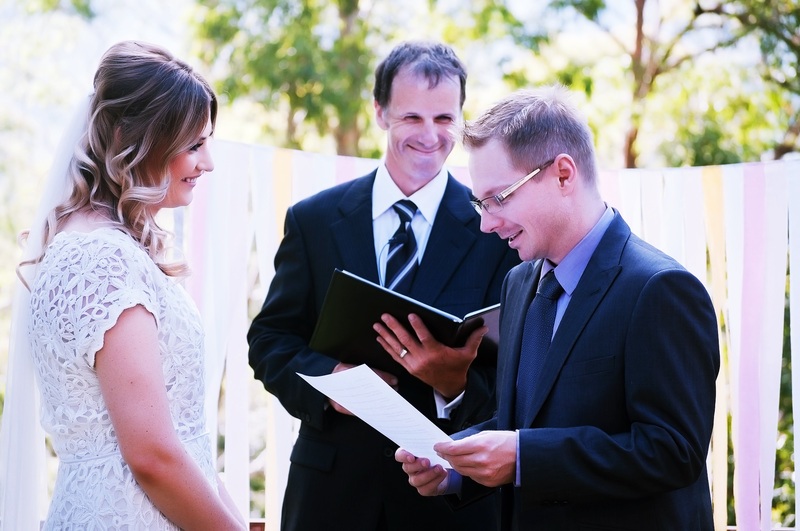 A relaxed and intimate wedding ceremony with Celebrant Jamie Eastgate. We hired all of our furniture, glasses, urn, bins etc through Gold Coast Events and Party Rentals. They were fantastic. They were very reliable and they gave us a great deal. Also, I can’t praise Amelda Webster from CloseUp Makeup and Hair enough! She was fantastic and really put me and my bridesmaid at ease. She was happy to do a trial prior to the wedding to make sure we were happy with everything. She made us look and feel beautiful! Relax and enjoy it! Don’t sweat the small stuff – it’s just not worth it. If you can get away with inviting less guests, we would definitely recommend it, as it really helps to provide that intimate, personal vibe. Also, just accept that you will cry during your ceremony – don’t try to fight it! Congratulations to the lovely newly weds married at a private residence by Celebrant Jamie Eastgate. “Jamie, you were very professional on the day and I really enjoyed working with you.” Andrew Sun Photography. Jamie was a fantastic celebrant! From day one we felt incredibly comfortable with him. He was very professional, friendly, kind and genuine. He also took time to meet us prior to the wedding and answered all our email queries promptly. Most importantly however, Jamie was so enthusiastic about the wedding – which was great and really made us feel excited about the big day. We eloped with a small party of family and friends to say our “I do’s” on the beach of Wananavu, Fiji. For those who could not make it, we reaffirmed our vows in a simple but romantic ceremony under the rotunda at Brisbane’s New Farm Park. We decided to forgo the traditional wedding reception – after all we’d already had one – and opted for a picnic in the park. Guests brought a plate to share and everyone enjoyed themselves – including the children who were able to really let their hair down at the park. 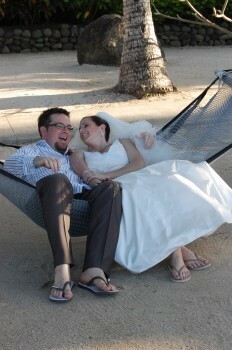 After having our wedding in Fiji, it was really nice to relax and just enjoy the day we reaffirmed our vows. Great company, great food – it was a beautiful day for all who attended. Jamie was lovely; he suggested some readings and prepared a lovely ceremony for us. 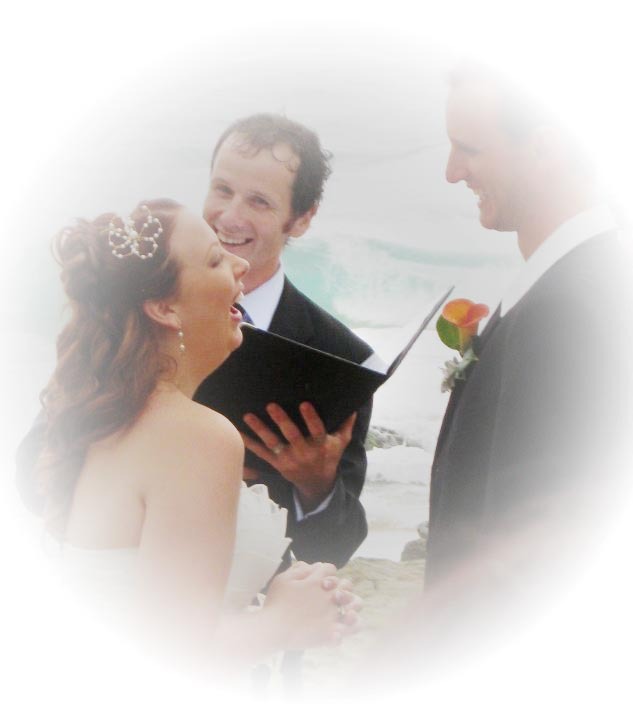 We chose to use our own vows from our ceremony inFiji, and we had some guests singing for us during the ceremony. Jamie fitted these personal touches in to the ceremony very nicely. We would definitely recommend Jamie. Don’t sweat the small stuff – you’ll miss some really wonderful moments. Enjoy each other and your special day. 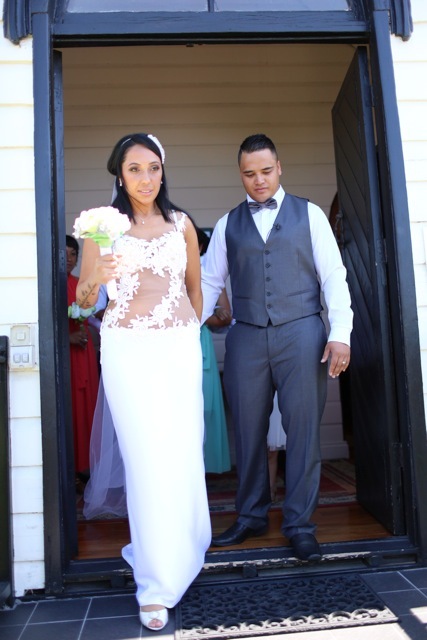 A New Farm Park ceremony followed this bride and grooms elopement in Fiji. It was very emotional from start to finish, we loved that we could include others in our day by adding a reading (poem read by a bridesmaid) and by having our Celebrant Jamie share our journey about how we met and became engaged. We can’t even begin to describe how amazing it was, the attention to detail was incredible John from Mt Ommaney Hotel created the perfect reception. The staff were lovely the food was divine and the buffet selection was outstanding. Mt Ommaney Hotel Wedding. 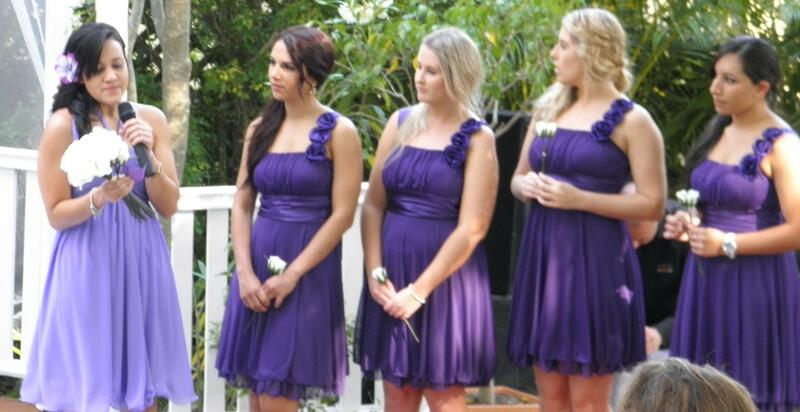 Bridesmaids dressed in purple as the Maid of Honour performs a reading. We loved being with family and friends and how everything flowed perfectly from the start of the ceremony right through to the end of the reception. Jamie Eastgate was wonderful to deal with, he was great at guiding us through everything, Jamie took the time to make us feel comfortable and prepare us for our day. 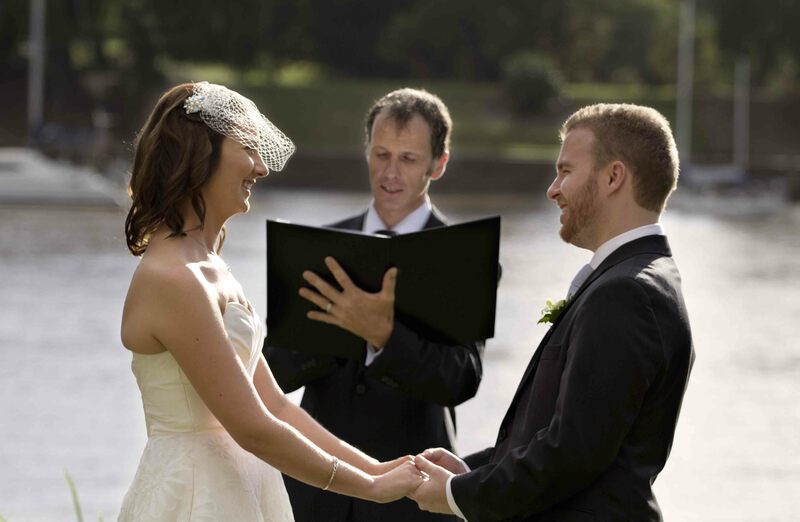 We would highly recommend our Celebrant Jamie Eastgate to everyone. Plan Plan Plan! Don’t leave anything till the last minute, don’t forget your wedding is about YOU be sure to add your own personal touches. 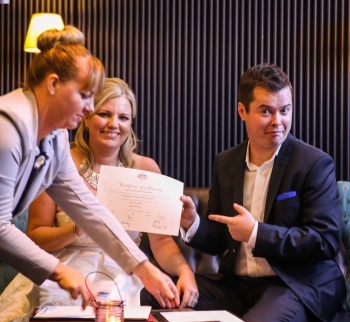 Mt Ommaney Hotel Wedding with Brisbane Celebrant Jamie Eastgate. Not long after we got engaged we went for a family holiday to Currumbin Beach. 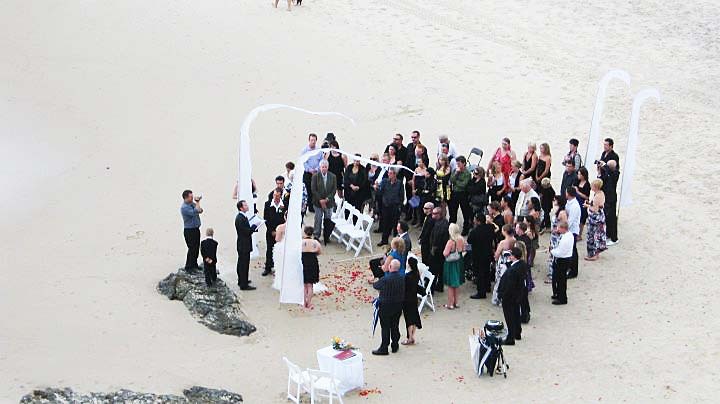 When we saw a ceremony set on the beach, it instantly felt perfect. Our ceremony was small and intimate with around 50 people. Our ceremony site was on the beach and was beautifully decorated with Bali flags and an aisle of rose petals. We wrote our own vows and tailored the ceremony to include our son which was really special to us. Thanks to Ciara and Jamies handy hints we created our own special ceremony which was truly magical and the highlight of our day. We opted for a cocktail party as it suited our guests and worked well with the relaxed atmosphere of the club. 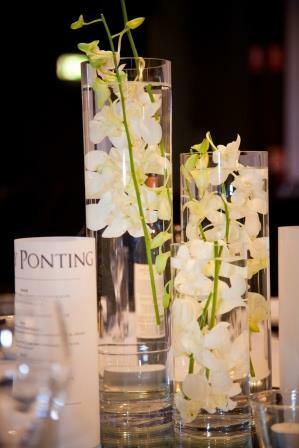 With panoramic views of the beach and coastline the room was decorated very simply with lanterns and tall vases with orchids inside. Keeping with the relaxed feel, we entertained with an acoustic guitar player. It was the best way to finish off such a perfect day. The ceremony was the best part of the day, even though we had some rain! LOL! As we had tailor made our ceremony, it was so special for us to share this with each other and our loved ones. When we first met Jamie, we knew straight away that he genuinely cared about creating such a special day for us. The variety of wording options and step by step guidelines made it so easy to design and create our own ceremony. Jamie was so helpful and easy to talk to throughout. We could not have picked a better Celebrant. Everyone will tell you this and it is so true. Enjoy every single moment because the day is over so fast. Don’t forget to take a moment to take in the surroundings you have. Tell us about your ceremony: Small simple ceremony with close family and friends. Informal and personal. Tell us about your reception: Small venue, organised and decorated by Beerwah Hideaway, BBQ dinner, was a great night. Lots of fun. The singer Richie Williams was excellent and gave the night a personal and cosy feel. very informal with one small speech, cutting of the cake, and mingling. What we loved: The venue was fabulous and well organised, the ceremony spot was beautiful. Great location for photos as well. 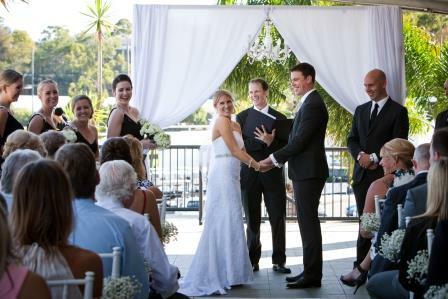 Describe your experience with Jamie from Brisbane City Celebrants: Jamie was fantastic, we really enjoyed his approach with us and he delivered the ceremony nice and clearly. 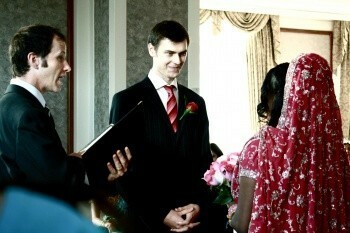 He had us well organised before we started and was easy to approach throughout the whole process from start to finish. Your advice to bride and grooms to be: This is your wedding day, relax and enjoy every moment! 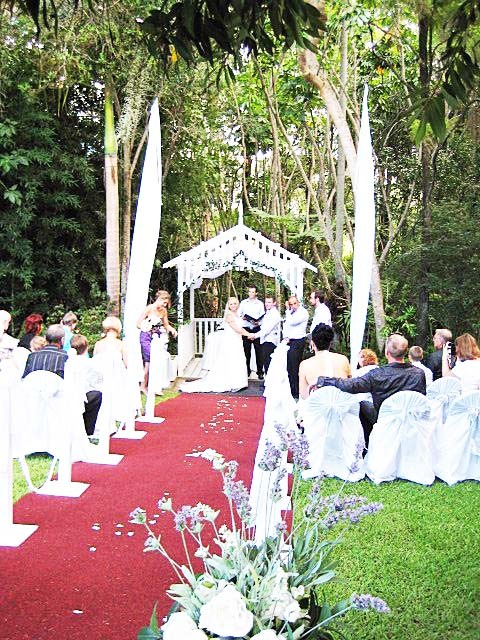 Beerwah Hideaway Wedding Celebrant Jamie Eastgate performing a garden ceremony. Despite the rain starting five minutes before our ceremony was due to start and having to move everyone inside at the last minute, we could not have asked for a more perfect ceremony! There were quite a few tears (and not only from the ladies!) as it was such a happy, heartfelt moment in our lives. Tell us about your Reception: Our reception was fantastic. Delicious food, fantastic music and most importantly great people! Ciara made planning our ceremony from a distance a breeze. As we were based in Darwin the first time we met Ciara was three days before the wedding and she was the perfect mix of easy going and organised and was just a great personality to be around. We can’t express our thanks enough to Ciara for being so integral in making our ceremony such a special memory. Mood Music Entertainment – For hassle free organisation of a string quartet for the ceremony, a jazz duo for pre-reception canapes and dinner music, and a seven piece swing band for after dinner dancing. A very professional and experienced group of people! The wedding day isn’t the time to be worrying about everything going to plan, it’s the time to relax and enjoy yourselves! We had a simple no frills wedding ceremony set between the grape vines at Sirromet Winery. We received lovely comments from our guests about how much they loved our short and lovely ceremony. Tell us about your Reception: We also wanted just a simple but elegant reception and the Barrell Hall was perfect for this and kept with the winery theme. Good food, good wine and good music all made for the perfect night for our family and friends. We loved that everything that was organised went perfectly to plan on the day from the ceremony to the photos and the reception. We especially loved sitting back together at the reception when we first arrived, taking it all in. Seeing all our friends and family with us, laughing and enjoying themselves. It’s an awesome feeling when you know they are all there for you. Ciara was a great Celebrant! she met with us face to face to figure out what we wanted for our day and explained what to expect. We didn’t feel pressured in to any wedding format, and the ceremony options and readings Ciara provided helped alot. Ciara helped us with all our documentation and was always on hand for any of our questions, which helped keep this part of planning stress free. We loved having Ciara as a part of our day and would recommend her to anyone planning a wedding, thank you Ciara! 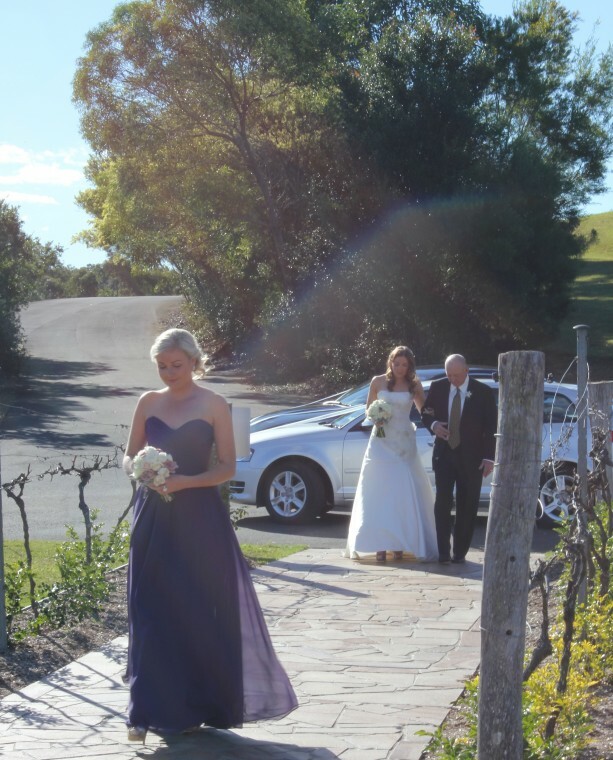 Wedding at the Arbour, Sirromet Winery with Brisbane Wedding Celebrant Ciara Hodge. Archie Rye (Band) – Planned excellent music and catered for everyones tastes and it helped that they had played at Sirromet many times previously, their set up was seamless. Kate Dawes Flower Design (Flowers) – Went above and beyond to make my wedding flowers perfect. She helped to tease out what I wanted for my day as I wasn’t sure in the beginning. The centre pieces were especially magical. Sirromet Winery (Wedding Ceremony and Reception Venue) – Speaks for itself! 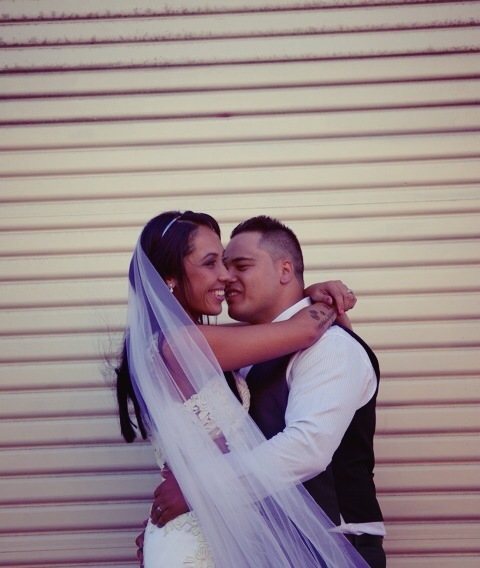 Tella Photography (Photographers) – Loved that they went and scoped out the venue the day before at the time that our photos would need to be taken to get the best shots possible. They set up a slideshow during the reception which showed some beautiful photos of the day to include the guests in this part of things, great people to boot. Paper and Strings (Cake) – Went above and beyond to get the wedding cake of my dreams from Townsville to Brisbane. We received comments from some of our guests that the mudcake was the best they have ever tasted! If you’re getting stressed especially over the little things, try to occasionally take a step back and remember why you’re planning a wedding in the first place! It’s so easy to get caught up in minor details. Some of the best days I had were my ‘wedding free days’ where I didn’t think about or do any planning, just enjoyed some normal things like walking the dog, listening to music or going to the beach with a book. Also having a little notebook in my bag that I took everywhere with me was good, so that if you do think of something you can write it down straight away before you forget. There is so much going on that writing it down when you think of it can save you from forgetting until weeks later! As mentioned earlier my sister is a Wedding Coordinator, so she has seen a LOT of Celebrants in action, so I knew the moment she recommended Ciara to be my Celebrant, that she was going to be fantastic. I was always imperative from the start that we thought Ciara could successfully help us ‘pull off’ the surprise component – and she was really an integral part. 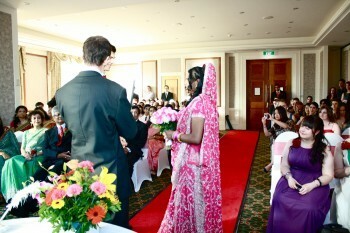 She gave us guidance from start to end, but also allowed flexibility for us to put our own touches in to the ceremony. Ciara also allowed us to prepare everything in our own time, so we never felt any unnecessary pressure. It really was an easy, stress free experience – and for that we are very grateful! – and of course Brisbane City Celebrants Ciara Hodge, she was just amazing. We would highly recommend a surprise wedding too, there were no preconceived ideas of what should happen, we had no pushy opinions, we saved quite a lot of money and we didn’t need to organise things that often get forgotton e.g. table arrangements, what colour the napkins are, bonbonnieres etc. Simple and meaningful, we didn’t want to overload anyone with sentiment so the ceremony we selected was perfect for us. Informal cocktail reception, lots of fun! a complete celebration. Ciara was great with explaining everything and helping us plan the ceremony. The follow up was great because I can be unorganised so I was confident everything would run smoothly on the day. Ciara was also great on the day with helping Michael to work through his pre wedding nerves. The guidance and information with the name change after the wedding was also really helpful. Enjoy yourself and don’t get hung up on any little details. 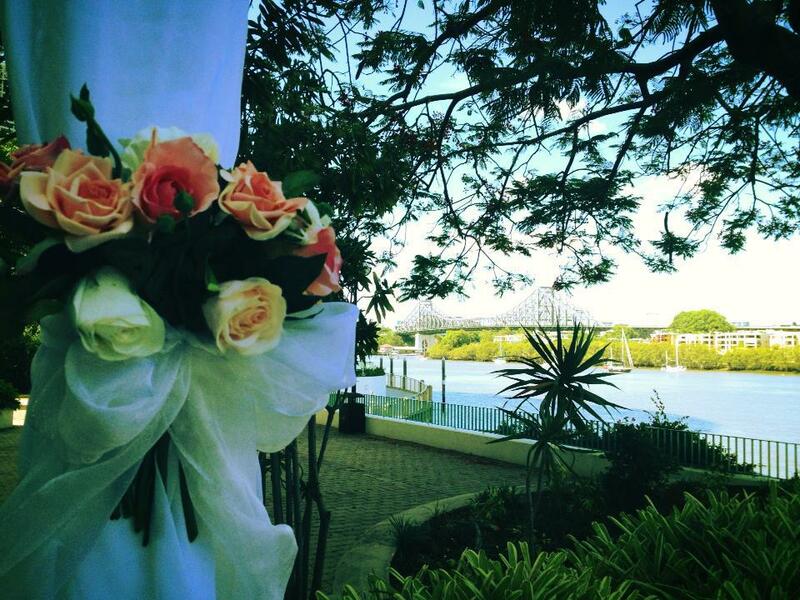 Brisbane Powerhouse Wedding Celebrant Ciara Hodge performing a ceremony at Riverbend Terrace. Our ceremony was relaxed and personal, we included our children who had their own vows for us, and readings from a couple of the family. We thought it may be a bit long, but the timing was actually perfect. Much like our ceremony our reception was really relaxed and fun; we wanted everyone to mingle and just have a great time. Our guests arrived for a 1.5hour cocktail hour and were treated to an open bar, amazing canapé’s and lolly buffet with the most delicious cupcakes as well! We had an acoustic guitarist/vocalist playing during the cocktail hour and all our guests got to meet each other and hang out and then we joined in the cocktail hour on our arrival, which was awesome, a great start to a great night! The reception went through to about 11pm with all guests staying to party. The bride did a surprise traditional dance for the groom and his family that kicked off the party and all guests mixed and mingled between tables between the meals and spent a lot of time out on the balcony all getting to know each other, which was great. Music was great, food was amazing and the venue did an awesome job! I loved how great all of our wedding suppliers were; they all went above and beyond and exceeded our expectations. It was amazing to have them, it was such a stressful time for us in the week leading up and our bridesmaids didn’t do the greatest job so to have everything just run so smoothly like clock work was all thanks to the amazing suppliers we chose. Ciara was awesome from start to finish, always made us feel comfortable, kept in contact with us, answered all my annoying questions and really guided us through the whole thing. I knew nothing about weddings before planning my own but when I hit the steps of the chapel on my wedding day I knew everything, she did a great job and conducted the ceremony really well, she was also amazing with Josh (the groom) who was extremely nervous, he can’t thank her enough! Khurim and Kamran from Brisbane Boxing who hosted us for photos at their West End Gym. Have a wedding day assistant that has no other job but to assist you. They will keep grumpy bridesmaids at bay and make sure everything is running on time and get those last minute things done and the unexpected things as well, while keeping you cool, calm and collected with nothing to worry about. You really don’t truly feel the stress until that last week and last few days, and everyone says don’t sweat the small stuff, no one else will notice etc, but that’s easier said than done, you need a wedding day assistant, it will save your day! Lorina and Josh exiting Broadway Chapel as husband and wife! View Lorina and Josh’s amazing wedding film capturing their Broadway Chapel wedding and Botanical Cafe reception by Storyteller Films here. Tell us about your ceremony: We had originally planned to have a small low key ceremony at the Registry Office, however as their only daughter my parents wanted my day to be really special and memorable so we changed our plans to have a stunning wedding at the Stamford Plaza in Brisbane, while keeping the essence of the ceremony simple and short as originally planned. What we loved: The great location of the Stamford Plaza, the view was absolutely perfect even though it was a little windy on our wedding day. Describe your experience with Ciara from Brisbane City Celebrants: We really appreciated Ciara’s professionalism and experience, there were a few things we changed right at the last minute and she handled it all perfectly. Your advice to brides and grooms to be: There is never enough time to do every little thing you would like to do, so my advice is to try and avoid having a really tight schedule to plan your day like we did. 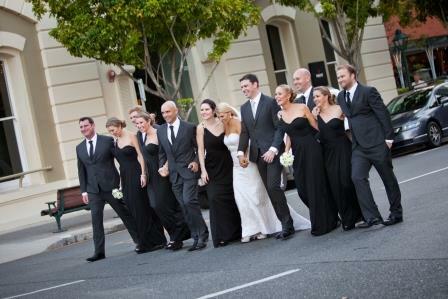 Stamford Plaza Wedding with Brisbane Marriage Celebrant Ciara Hodge. Tell us about your ceremony: We had a beautiful outdoor ceremony elegantly decorated with lilac and pink and with our children in the bridal party. We were relieved to be blessed with gorgeous weather after recent showers. Tell us about your reception: Casual and lots of fun. 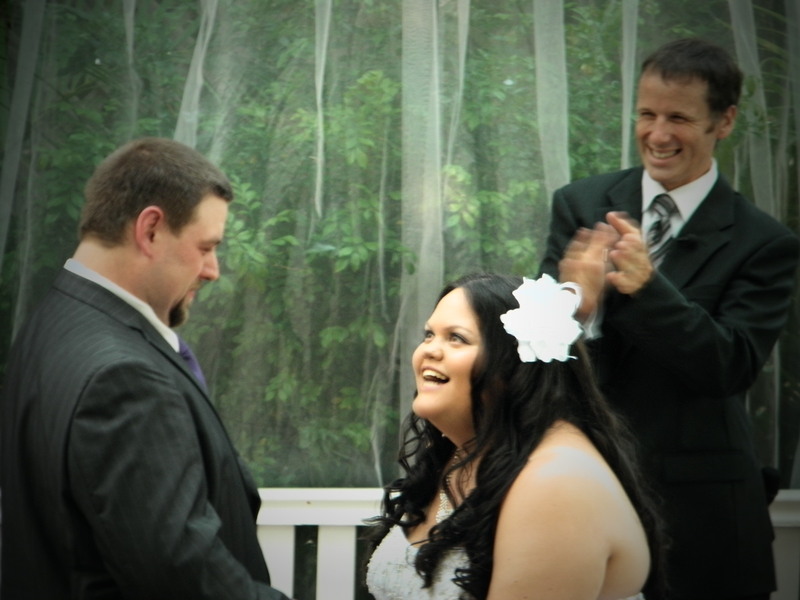 We decided to have the ceremony and reception at our home and this allowed us to relax and really enjoy the day. What we loved: Having our family and friends with us to love, laugh and enjoy the day. 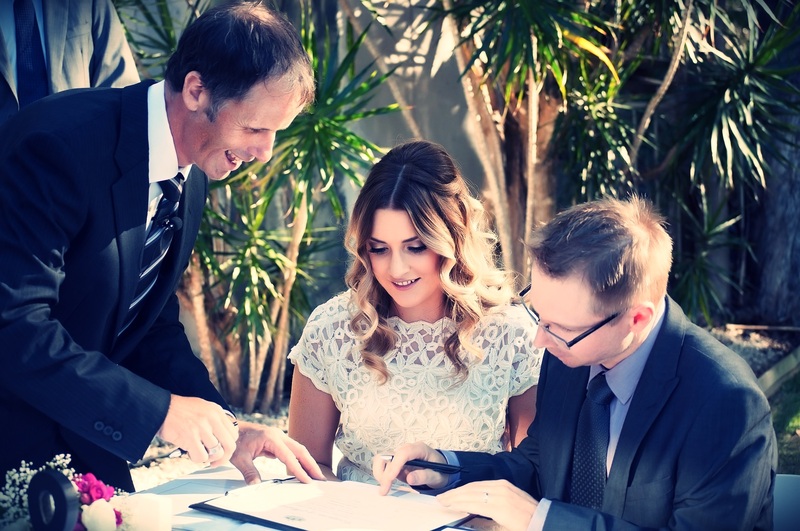 Describe your experience with Ciara from Brisbane City Celebrants: As a Celebrant myself I understand the planning and preparation that goes in to each ceremony. I really appreciated Ciara’s professionalism and help with organising the ceremony on the day. It was nice to know that I could arrive and not have to worry if everyone would be in their place and knew what to do as Ciara had this all under control. Your advice to bride and grooms to be: Try and relax and enjoy it as much as possible, after all the organising the ceremony and reception will fly by. Our ceremony was absolutely beautiful. It was everything I had hoped for and more! It all went incredibly smoothly and we couldn’t have been happier with everything. Everyone commented on how lovely it was. We were very lucky. Tell us about your Reception: Our reception looked beautiful. The hard work I put into decorating our reception area certainly paid off and I was so pleased with how it looked. The night was filled with nice food, good entertainment and great company. The weather on our wedding day was the most perfect I have ever seen. We were SO lucky – money can’t buy a sky as blue as that! We had gorgeous flowers everywhere which gave it a beautiful spring feel. I loved that we had a relatively small wedding (70 wedding guests) and we were able to spend a good amount of time with each guest. I also loved that we were finally getting married after 12 long years together! I can’t recommend Ciara highly enough. She was an absolute pleasure to work with. She was so quick to respond to any emails that I sent her and I found the whole process so easy!! I was beyond pleased with my wedding ceremony. Thank you Ciara!!! Enjoy every second of your day. After months of hard work and planning, it flies by in an instant and you can never get that time back! Even if things don’t turn out exactly how you’d dreamed them to be it is still the best day of your life, so relax and enjoy!